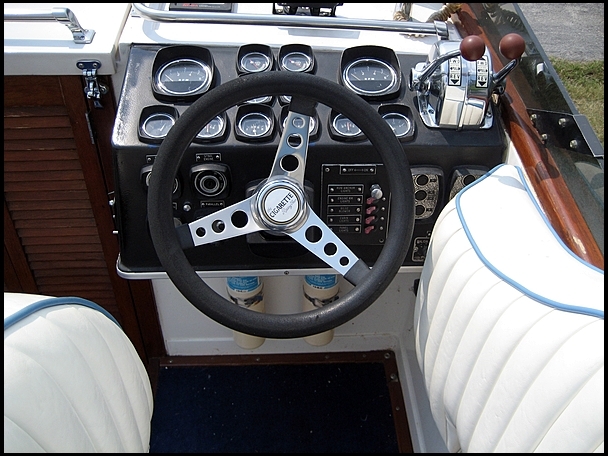 Looking for a 70's Cigarette steering wheel (or center cap) as in the picture below. Would appreciate any leads to one. I have a cap from my 28. I don't really want to sell it. but can take a close up pic for you if you want to make a replica. 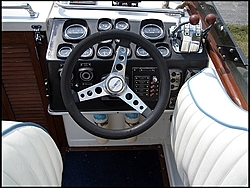 The Cig insignia was held in to the cap by a single stud. It was made of something like a ceramic or plastic but the metal colring looks to be made of metal.